Join your fellow incoming transfer students for an afternoon of mixing, mingling, and delicious BBQ. 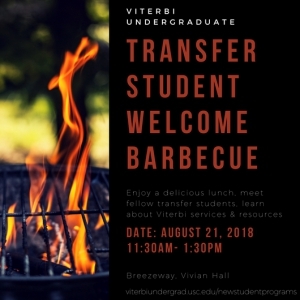 This is a great opportunity to meet other transfer students and get to know Viterbi and USC staff members and resources. We will be sharing information about key programs and services available to USC students.